A survey by the National Blindness and Visual Impairment Survey (NBVIS) estimated that 1.13 million individuals aged 40 years and above in Nigeria were blind, with 2.7 million adults aged 40 years and above having moderate visual impairment and an additional 400,000 adults visually impaired. Indeed, cataract, a completely curable blinding disease is still the leading cause of blindness in the world and throughout Nigeria, representing 50% or more of all causes. There is an estimated significant backlog of un-operated cases due to various causes, among which is the inability of health systems to cope with demand for eye-care services; lack of eye doctors, added to this are the significant socio economic and cultural barriers that allow access to health services where available. 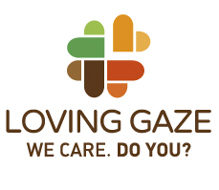 St Kizito Clinic, in collaboration with the Catholic Optical Outreach, works to offer quality and affordable primary eye care to the most vulnerable communities in the Lekki-Ajah axis in Lagos. The free eye test and discounted glasses programme, run on 28th July 2018, both for adults and children, confirms the joint effort to make eye care accessible. The programme was a huge success with 214 patients screened, 117 adults and 37 children. The most common issues diagnosed by our team of ophthalmologists were: cataract, glaucoma and myopia (short sightedness). They determined that over 50% of the screened patients would need glasses. Our team also spent time with patients to explain the importance of basic hygiene to keep their eyes clean and healthy. HOW CAN WE KEEP OUR EYES CLEAN AND HEALTHY? Eat well: having good and healthy eye starts with the food on our plate. Nutrients like vitamin C and E help ward off age related vision problems. We should fill our plates with vegetables like spinach or kale, nuts, beans, oranges and other citrus fruits. Also, various vitamin rich foods such as salmon, tuna, eggs, oysters and pork are advisable. Wear sunglasses with good ultraviolet filter to help protect your eyes from ultraviolet rays. Use safety eyewear: if you use hazardous or airborne materials at work or at home, wear safety protective glasses. Look away from the computer screen: staring at the computer screen or phone screen for too long can cause eye strain, blurry vision, dry eyes or headaches. Remember to change focus by looking elsewhere from time to time. Also make sure that your glasses or contact lenses are up to date. Keep your eyes safe from chemicals, sharp objects dirty cloths and handkerchiefs. Avoid using unsuitable wipes to clean your eyes as they may cause irritation. 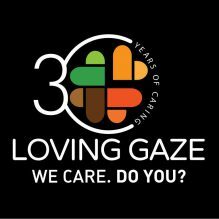 The Catholic Optical Outreach offers eye consultations every first and last Friday of the month at St Kizito Clinic, Jakande Housing Estate, Lekki, starting from 10am.